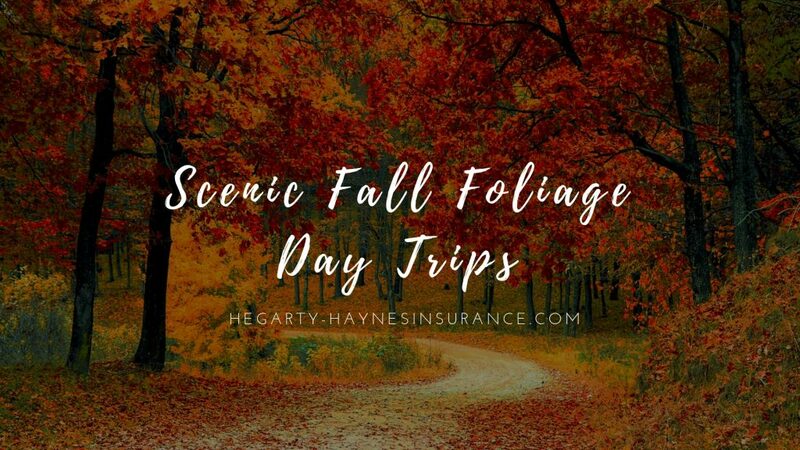 Scenic Fall Foliage Day Trips - Hegarty-Haynes Insurance, Inc.Hegarty-Haynes Insurance, Inc.	Scenic Fall Foliage Day Trips - Hegarty-Haynes Insurance, Inc. Vibrant fall foliage, brisk air, and warm apple cider – there’s a lot to love about the season. Now that the temperature has dropped a bit, the season is also a prime time for exploration. A seasonal favorite for many people? Taking a day trip to see some of the Grand Canyon State’s most scenic fall foliage. These are the most picturesque places to see fall foliage. Please note that according to the U.S. Forest Service, fall colors typically reach optimum viewing time around Flagstaff and the Mogollon Rim during the first few weeks of October, while lower elevations won’t see vibrant fall colors until the end of October or the beginning of November. Fill up your tank and set course for either one of these two locations. You’ll find three great nature trails at Snowbowl. One of the best options for scenic fall foliage is Aspen Nature Loop. This 1.5-mile trail winds through colorful ponderosa and aspen groves. For a leisurely cruise, by bike or car, take Snowbowl Drive to the top (seven-miles). Here you’ll go past spectacular ponderosas and aspens. At the top is where your find the chairlift which you can use to take in all the fall colors. Sedona offers a variety of activities for outdoor enthusiasts’ year ‘round, but to see the colors of fall, you’ll need to head over to Oak Creek Canyon. Nestled between Flagstaff and Sedona, this river gorge is home to maples and oaks, with glistening reddish-gold hues set against iconic red rock buttes. Beautiful vistas can be viewed by walking along West Fork Trail or driving the canyon’s length on Route 89A. Watch your speed. Always drive the posted speed limit and leave plenty of space between you and the car in front of you. You should also be mindful of road work and school zones; slowing down as directed by flaggers or signs. Watch out for wildlife. Since you’ll be driving through rural areas, it’s important to be alert for Arizona’s abundant wildlife, both large and small. Wild horses, deer, or other critters may be crossing the road. You should be especially cautious after dark. Check your tire pressure. As temperatures drop, tires can expand and contract, causing them to lose air pressure. Each month, check tire pressure and tread. Reference the decal on the driver’s side door jamb for your vehicle’s correct tire pressure. Drive with your headlights on. Shrinking daylight hours and fall showers can decrease visibility. Combat this by driving with your headlights on. Use your headlights on rural or mountain roads and two-lane highways as well. As an independent insurance agent, Hegarty-Haynes Insurance, Inc. is committed to providing our customers with superior service and solid insurance solutions at competitive rates. Contact us today at (480) 820-2297 for a free auto insurance quote. This entry was posted in Auto Insurance. Bookmark the permalink.